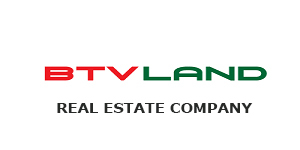 BTVLAND is a company that has solutions to all types of real estate related needs. The new Dragon Village Villa Project for them has several advantages. Read the rest to know in details. April 9, 2019 / / — BTVLand recently unveiled its Dragon Village Villa Project and Ana Mandara in the real estate market. The location of Dragon Village Villa project is at Duong 990 street, Phu Huu Ward, District 9, Ho Chi Minh City. The company is very hopeful about the site as its location where people can get an easy connection to transportation and business. The Dragon Village that they have planned will have different areas for accommodation and it has been designed in the Oasis Garden-Style. The project contains Park Villas, Townhouses as well as apartments. BTVLAND states that they will utilize 30% of the total area in housing and the rest 70% will be dedicated to green parks, lakes, schools and other amenities that the residents may require. The transport connection of the area is really great as it is just a few kilometers away from the airport, the port area and a number of public transport pass by it. In addition, they have divided the area into parts where they will provide different types of accommodations. People can check them out at https://btvland.com/ where every detail is presented in the best way possible along with a visual representation of the project. The company has definitely worked very hard to create this project and launch it to the public. Residents will really enjoy the spacious nature of the accommodations, where they wake up to fresh air rather than taking in all the pollution present in the city. BTVLAND is also providing a discount to those clients who buy more than 1 unit at a time. It may increase according to the number of units purchased. They can also choose a flexible payment schedule to avoid any financial problems. So, it can be said that the Dragon Villa Project by BTVLAND will be a success if more residents choose to purchase accommodations. They hope to see a good turnout as people wouldn’t get such an opportunity quite often. Interested people can contact them via their hotline number for advice and to know more about the dream living space. BTVLAND is a company that deals with the area of real estate where they provide the services of buying and selling of properties including broker services. They have already assisted housing projects in Singapore and helped people to get their dream home. They soar to work together for better communication in the real estate business.